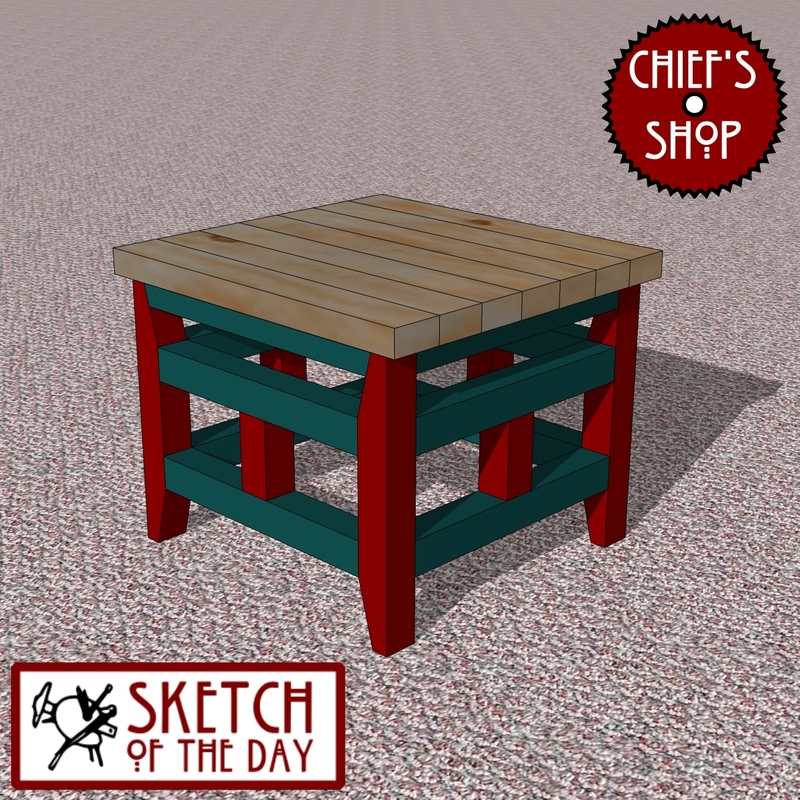 A design concept for simple end/side table. 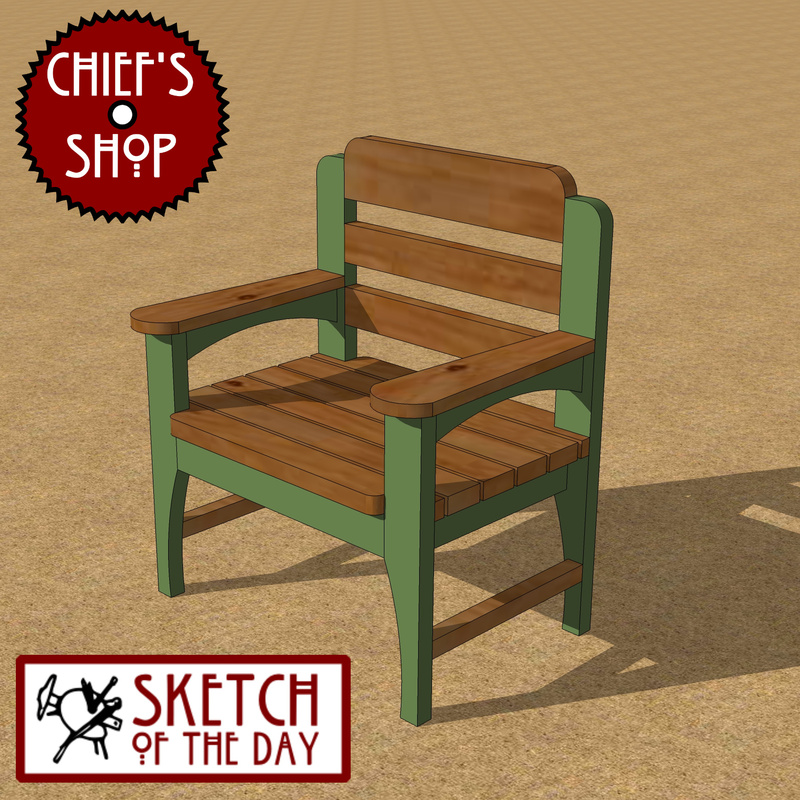 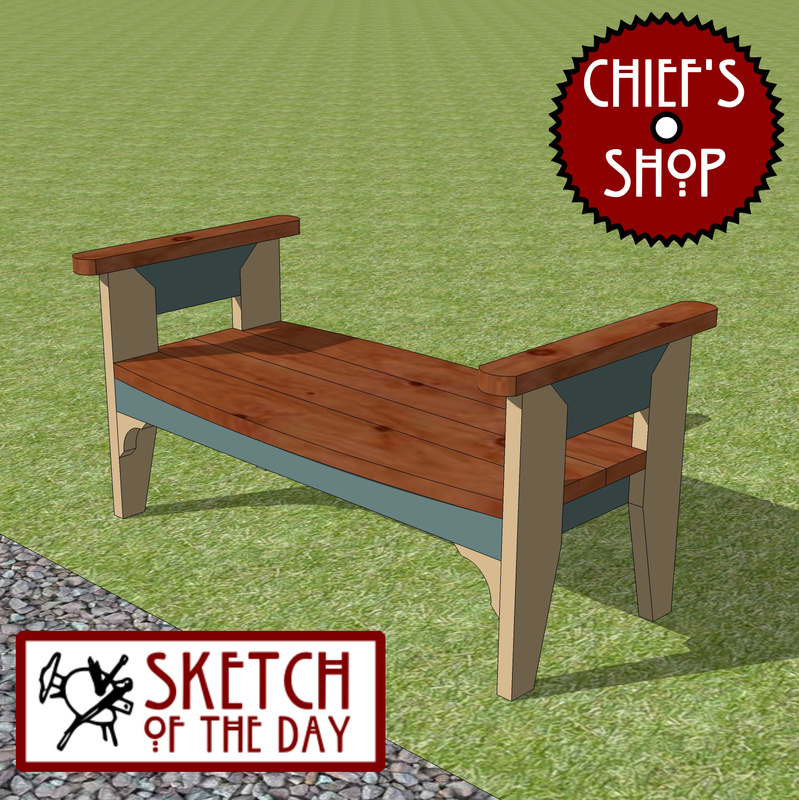 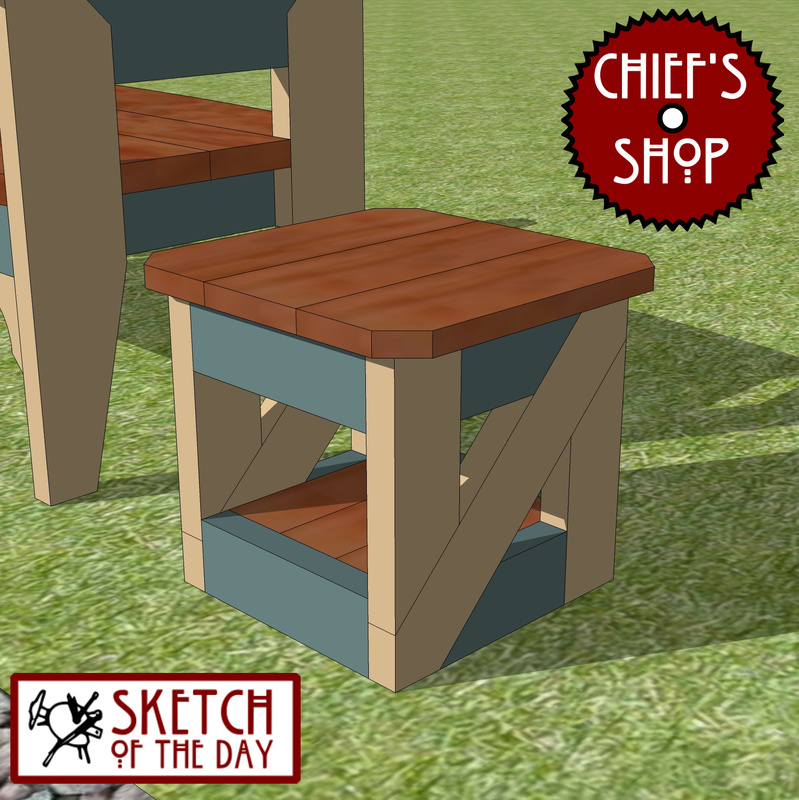 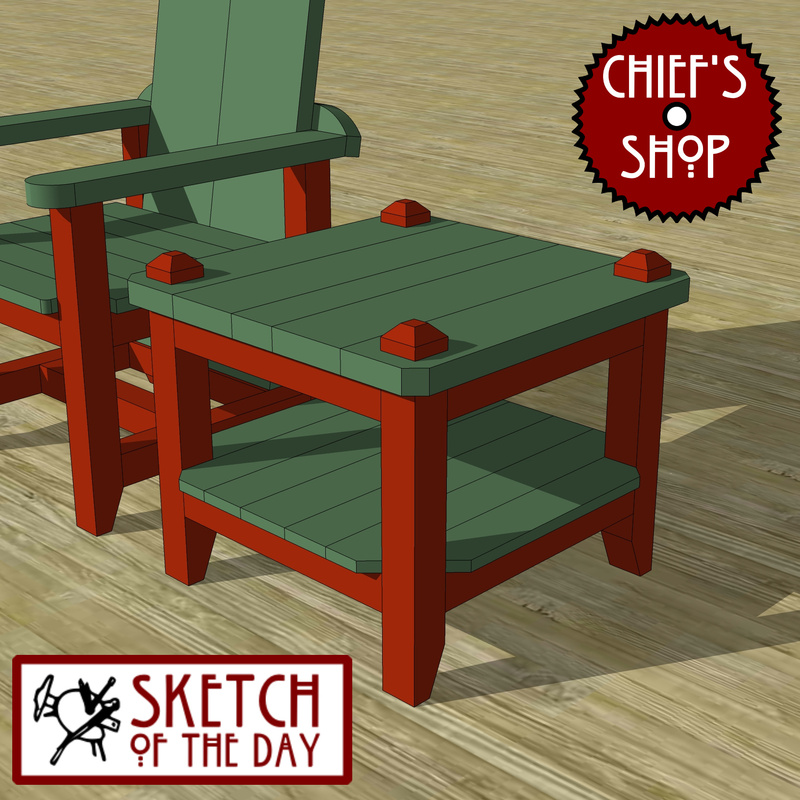 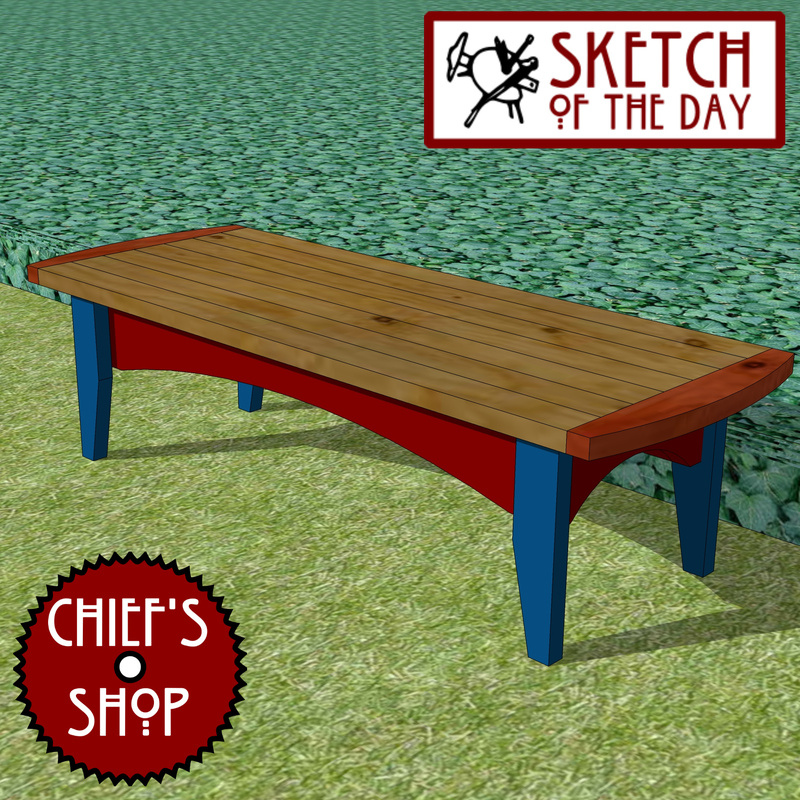 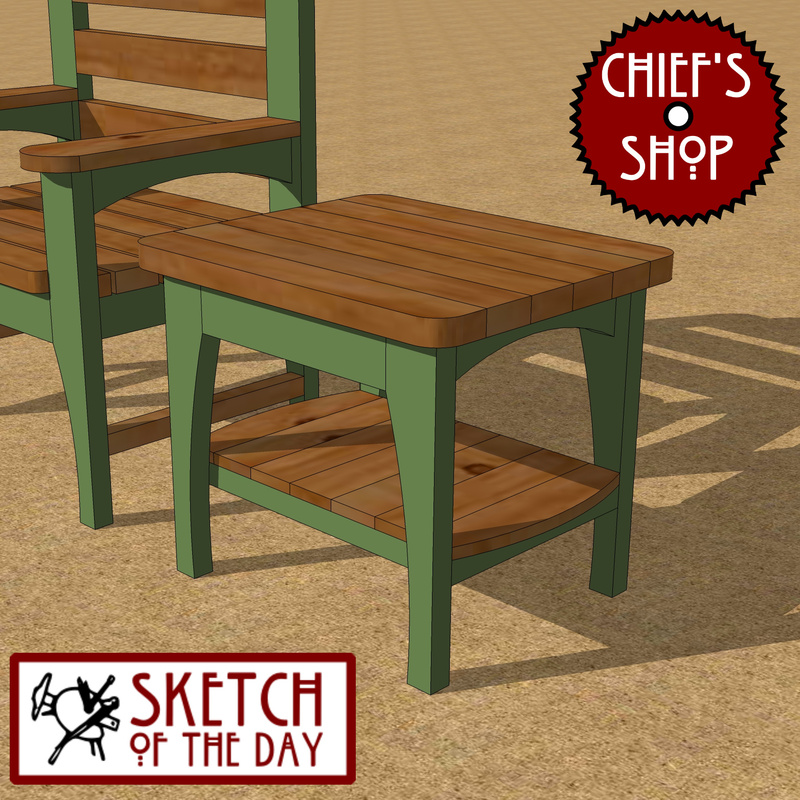 A side table design concept to go with the plank back chair design. 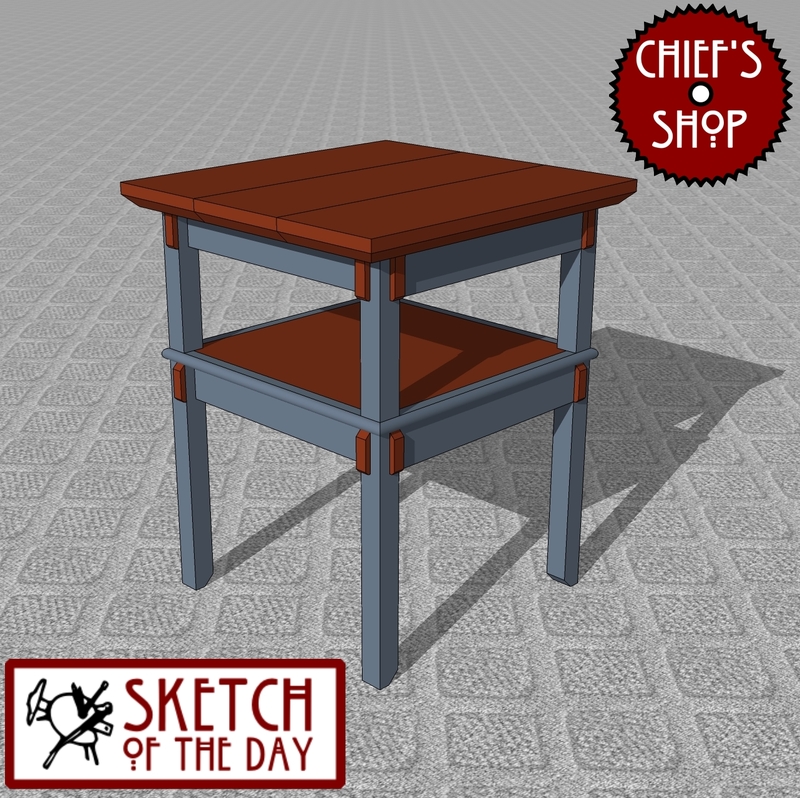 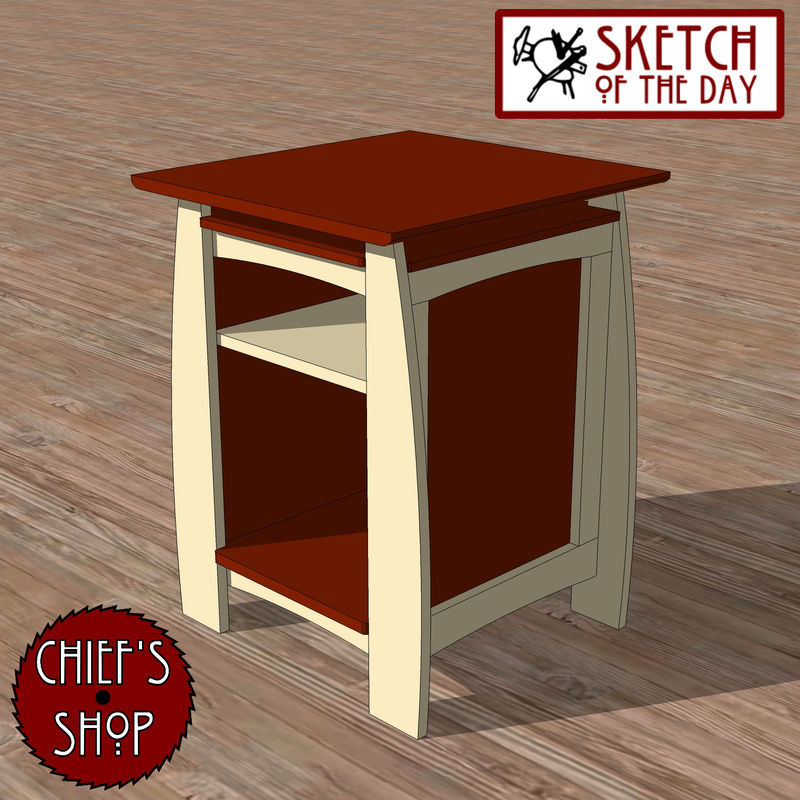 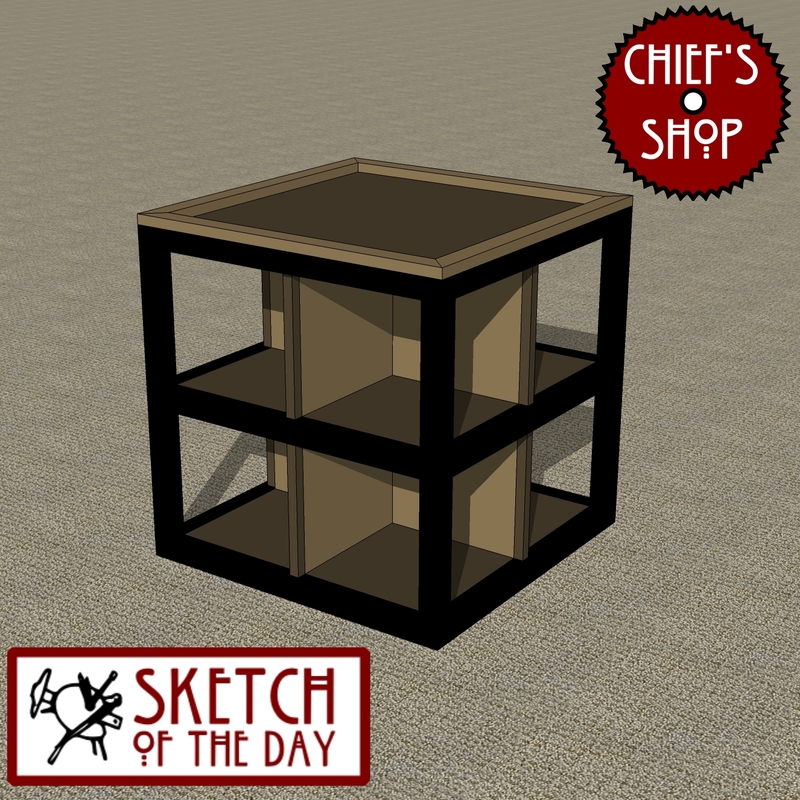 A design concept for a side table with drawer. 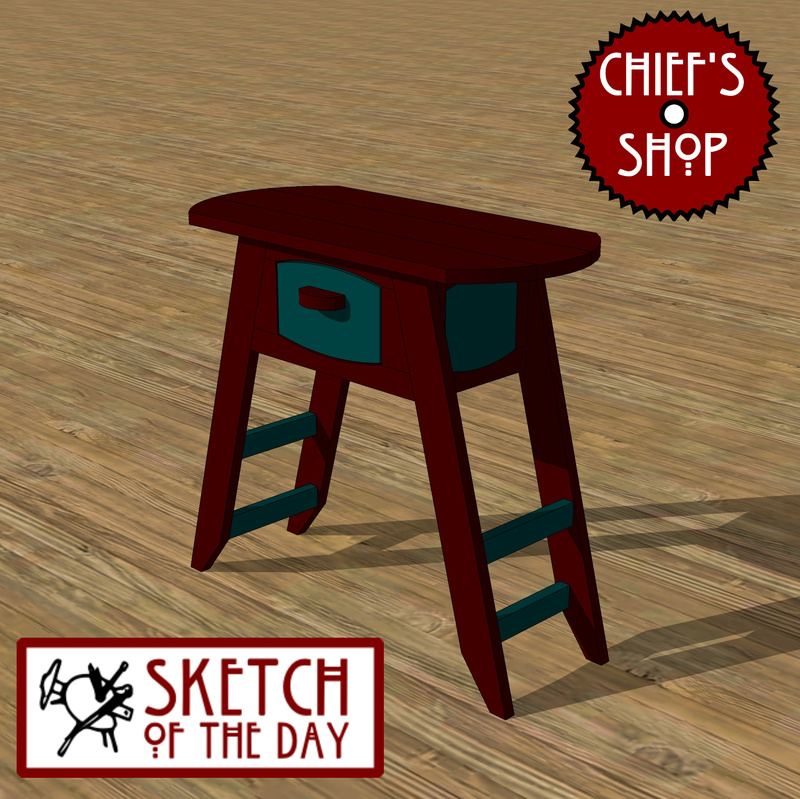 A night stand, end table, or side table concept. 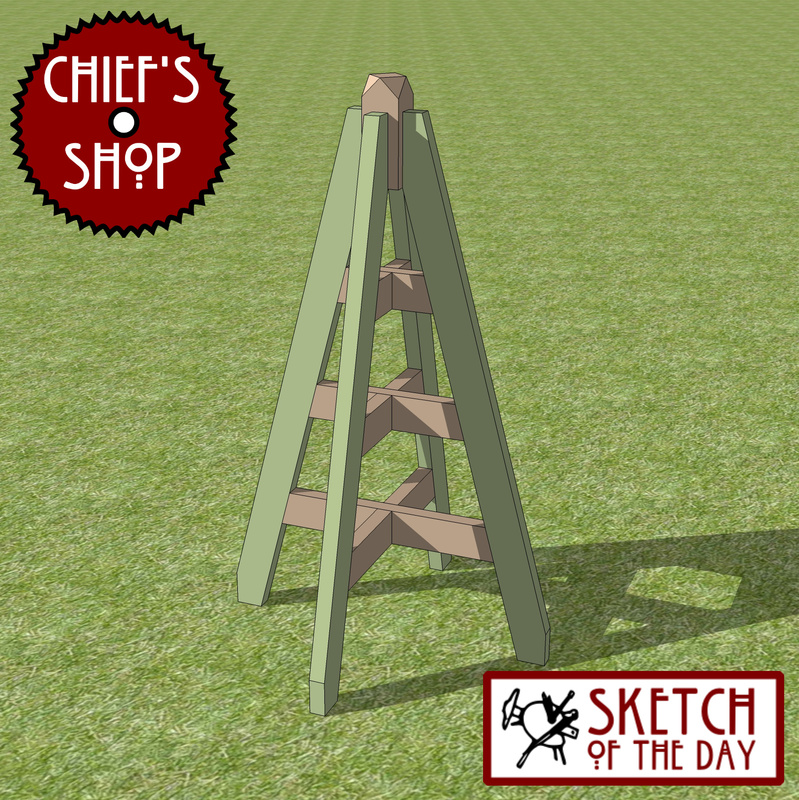 The top would be 1 1/2″ thick. 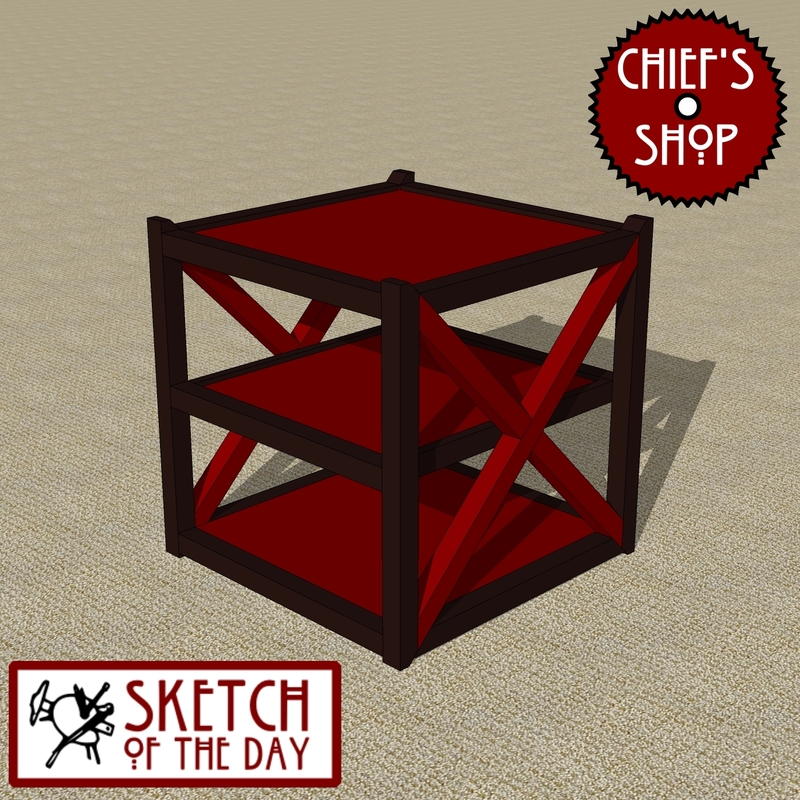 This side table concept features an “X” pattern and multiple shelves. 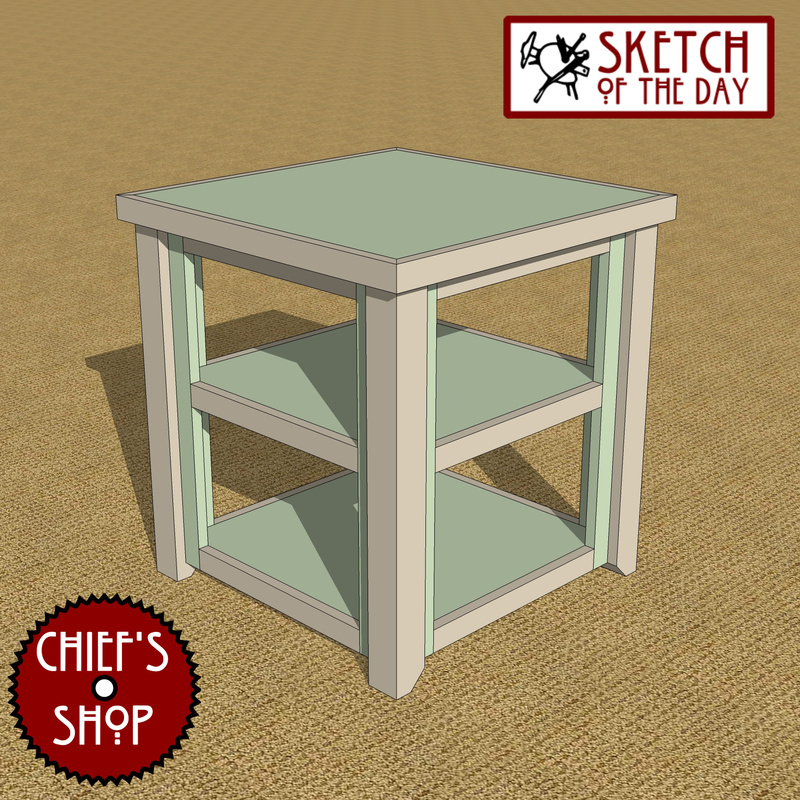 This end or side table concept features four divided areas in each section and a lip on top.